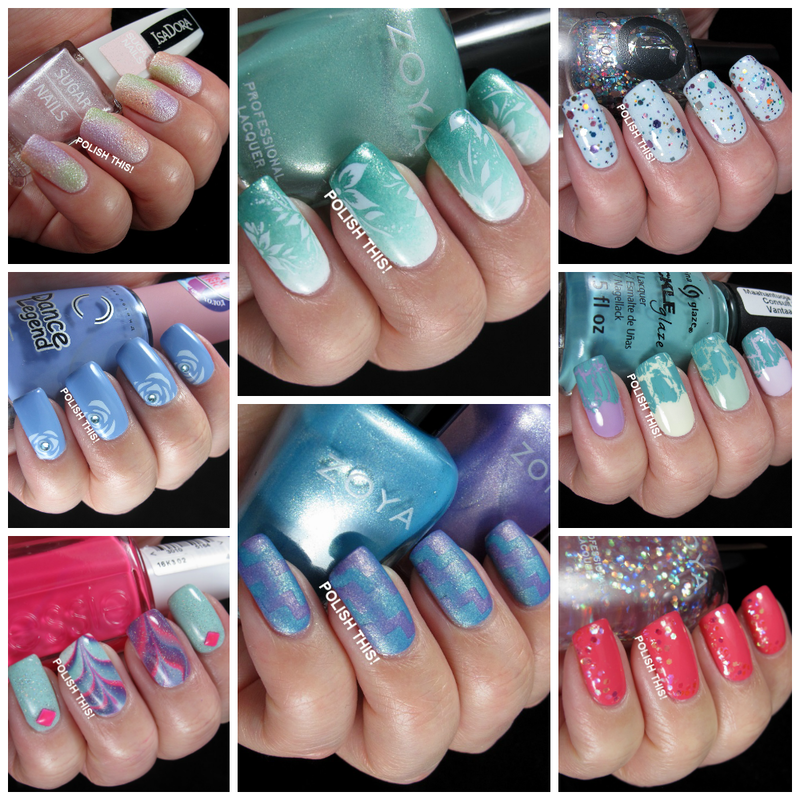 Monthly Manicure Roundup: April 2014 - Polish This! It's already the second day of May so it's about time to post my monthly manicure roundup. April was quite a busy month here in my blog too as I did total of 22 posts for you guys. I also had the huge giveaway, which kept me busy too. 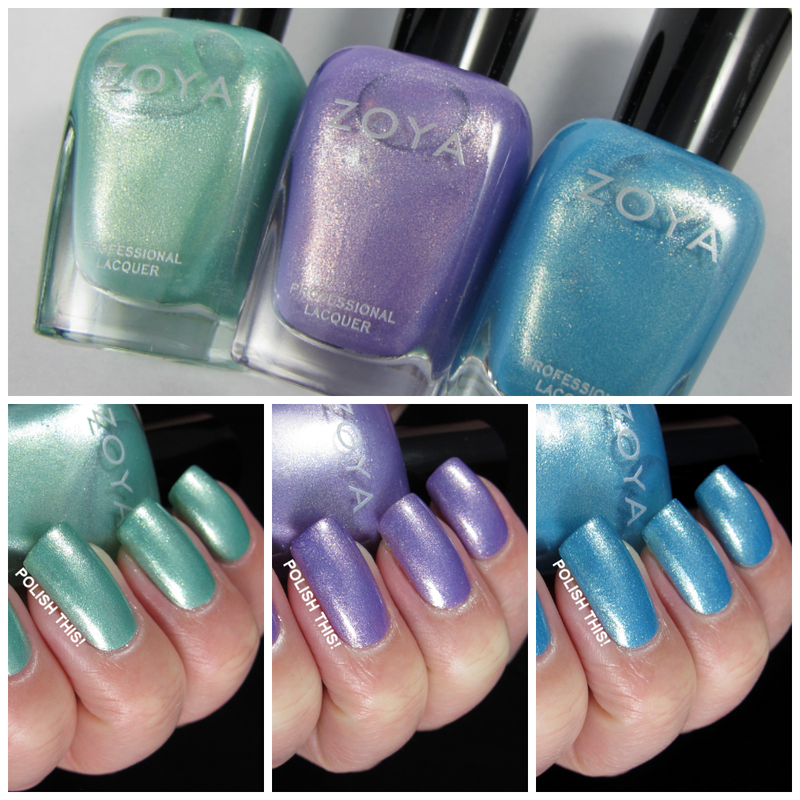 I showed you my swatches of the three gorgeous spring Zoya shimmers. I also shared my swatches of IsaDora spring Sugar Nails polishes andi two polishes from Rimmel's Sweetie Crush collection (which I also compared a bit together in that Rimmel post). I also got to participate in two different nail and beauty bloggers' meets. First one was quite a big one and in Tampere and the second one was in my home city, Joensuu, and I also had the pleasure of organizing the latter one together with two other lovely girls. I also posted about the nails that all the other participants had done for our meet, about my goodie bag and about our visit to Glitter. In addition to all these I also shared with you a little tip about another use for peel off base. Lastly I also wanted to share my love for Zoya with you guys, so I posted a little ode to Zoya. Which April post was your favourite? I love the blue mani with the white roses and the green Zoya gradient, I think the polish is Dillon, at the top with the stamped white flowers. My podium is: Isadora, Zoya chevron and your nails inspired to your blog. They're equal and all winners to me!